When Do Shoppers in Laplace, LA, Look for Car Loans? You know it’s time for a new car, but perhaps you’re putting off this big decision. There may be many reasons for this. Perhaps you’re not sure you can afford something reliable. Maybe you are struggling to know which model is right. Many drivers in Laplace, LA, want to know whether car loans or leasing is the best choice. If you have similar thoughts, you need to know when people typically go the loan route. Life can hit you hard, and your finances can suffer. If you’ve missed some payments or accumulated debt, you will have a lower credit score. It’s as simple as that. If your score isn’t where you want it, you probably won’t have a chance to lease. But never fear, dealers are much more lenient with car loans than they are with leases when you have credit issues. Talk to the finance team at the dealership today and see what kind of rate and terms you can get. Consider how many miles you put on your car each day in Laplace, LA. If you have a long commute, or if duties take all over the place, you probably won’t want to lease. When you lease, the dealer will restrict how many miles you can put on your car each year or during the three-year lease. When you buy your car, mileage won’t be an issue. You can drive as much as you’d like without paying a penalty. Some people love modifying their car to fit their style and attitude. If you think you’d love to add some custom wheels, install a sunroof, or put on some rear spoilers, you can do it with car loans. You won’t have the same luxury with a lease. If you can pay cash for your car, this discussion is irrelevant, but even if you get a loan, you can enjoy some financial benefits that leasing can’t deliver. People in Laplace, LA, and elsewhere who continually lease will always have a payment over their heads. However, when you acquire your car via financing, you can say goodbye to monthly payments once you pay off the loan. 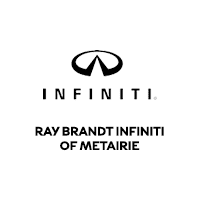 If you decide shopping for car loans is your best bet when you need a new car to drive in Laplace, LA, come to Ray Brandt INFINITI and let the team help you.